Legzira Beach is without question, one of the most beautiful beaches you can visit in Morocco. 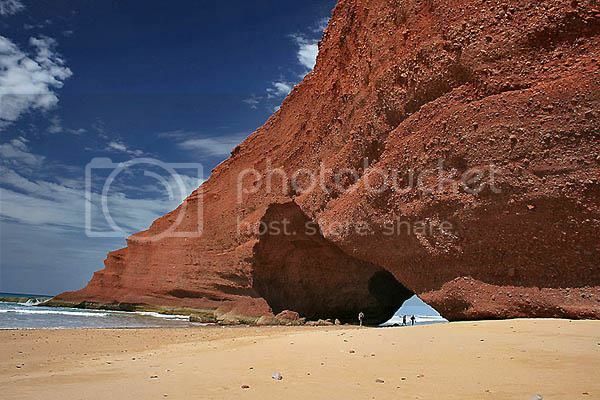 Legzira boasts impressive red sandstone cliffs and wonderful arch formations that you can walk through at low tide. The beach itself is beautiful and because of its somewhat remote location it doesn’t get huge crowds, which makes Legzira a great spot for a relaxing beach vacation. Saying this, if you're looking for a bit of action you’ll still be able to book fun activities like paragliding with one of the hotels there. When it comes to popular beach destinations in Morocco, Agadir beach is unarguably one of the best beaches in the Atlantic coast of Morocco. Agadir is the place where most tourists head for a beach vacation in the country because of its cosmopolitan-like vibe, the beach and sunshine. Agadir boasts miles of gorgeous golden sand dotted with a great variety of oceanfront hotels to choose from. 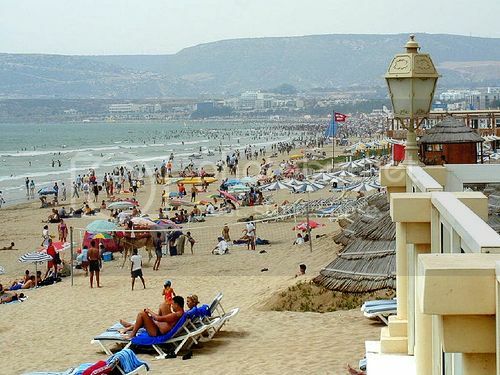 Sure enough, Agadir beach gets very busy but if you’re looking for a holiday destination in Morocco with lots of amenities, great nightlife and tourist activities on offer, Agadir is the place for you! Moulay Bousselham is easily one of the best places in Northern Morocco to go for an inexpensive beach vacation. Moulay Bousselham is located near Larache and it's home to a campground and handful of cheap B&B’s where you can stay for less than $5 a night. As far as the actual beach, Moulay Bousselham boasts a stunningly beautiful sandy beach that receives great swells all year-round, which is great if you’re looking to enjoy a bit of surfing on the side. Besides the gorgeous beach, another thing Moulay Bousselham has going for is its location next to the Merdja Zerka National Park, which offers lots of bird watching opportunities during the winter season (Dec through Mar). Essaouira Beach is located roughly between the beach towns of Safi and Agadir and it’s no doubt one of the most popular destinations in Morocco. 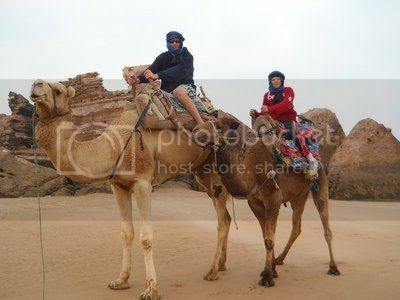 One of the main appeals about traveling to Essaouira is that it offers plenty of opportunities for fun beach activities such as kitesurfing, windsurfing and camel trekking. Besides fun pursuits, you'll also be able to enjoy pleasant walks through Essaouira's old ramparts and Medina, which boasts dozens of charming wood carving shops selling Thuya wood sculptures and ornaments. 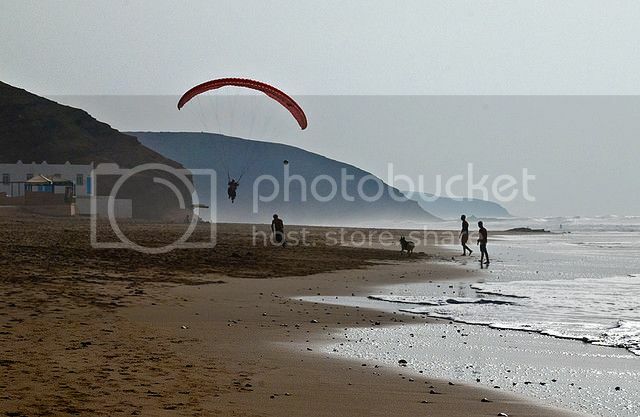 Mirleft Beach is without a doubt, one of the most stunning beach you’ll come across on the Atlantic coast of Morocco. Mirleft beach boasts beautiful bright gold sand, strikingly reddish cliffs and tall sand dunes that are popular for buggy rides. Besides taking in the magnificent views of Mirleft beach, you’ll be able to enjoy fun activities such as donkey rides, surfing lessons, paragliding, trekking and quad biking tours with tour operators such as “Mirleft Ride” and “Anzid Quad Evasion”. 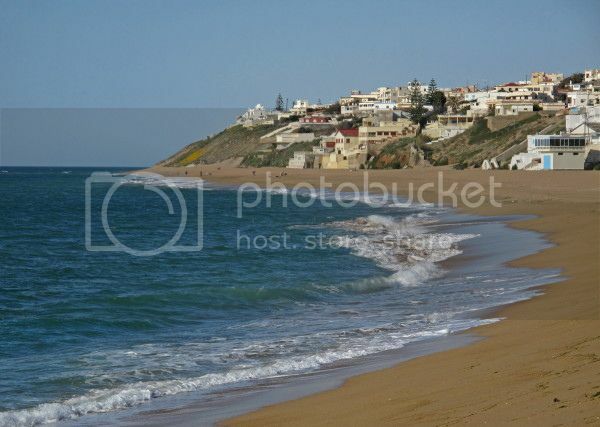 The only possible drawback about Mirleft beach is that the nearest beach town is Agadir, which is about 2 hours drive. However, if you’re looking for pristine and uncrowded beaches in Morocco Mirleft beach has to be one of the best there is! Taghazout Beach is easily one of the most popular surfing beaches in Morocco boasting great surfing conditions throughout the year. Saying this though, if you're an experienced surfer be sure to visit between the autumn and spring months to get the most challenging waves. Otherwise, it's best you visit Taghazout between June and August if you are a beginner surfer. By the way, another great thing about surfing in Taghazout beach is its close proximity to the beach resort of Agadir, which is an easy 20 minutes. El Jadida Beach is easily one of the nicest swimming beaches you ca go in Morocco if you’re traveling with small kids. The waters at El Jadida beach are calm and they're great for snorkeling and scuba diving. Accomodation-wise, El Jadida boasts a nice variety of guest houses and hotels where you can spend the night for as little as $50. However, if you prefer to spend your vacation in a more luxurious setting, you may want to check-in at the Mazagan Beach Resort, which is one of the most luxurious resort hotels there.